"Matt was amazing. Answered any questions I had. Responded almost immediately to any message I sent him and answered every call I made to him. If he didn’t answer he called back almost immediately. He made the whole process very easy and stress free for me and my wife. If I could give him 6 stars I would!! I would highly recommend Matt to anyone looking to buy a house right now"
"We put Matt through the ringer! When discussing our dream home, my husband and I couldn’t agree on anything - we wanted a newer home with an older feel, we wanted a great neighborhood but not “too suburban”, we wanted to be in the city but open space. Matt was able to find our perfect home by learning about us. With each home we viewed he started to get a sense of what we wanted without having us describe every little detail. When he showed us the home we bought, it was made up of all the things we loved from previous homes we had seen all wrapped in one. That type of focus to detail and personalization is hard to find in anyone, but especially a realtor. He was very responsive and answered all of our questions without making us feel like we had no idea what we were doing, because truth be told - we didn’t! Buying your home, especially first home, is daunting but Matt made us feel very involved and up to speed throughout the entire process." "Matt is an amazing agent! He stuck with us for 2 years from first meeting with our lender to helping us find our dream house in a very tight budget!! I wouldn't want to work with anyone else. He goes above and beyond and you can really tell he loves what he does! If anyone is looking for a house this is definitely the guy you want helping you!!" "Matt was great to work with during the purchase of our new home. No matter the time of day he would answer my questions. He was really easy to deal with. Got appointments set up quickly and helped us make wise choices on all aspects of the purchaser process. He made the entire process much more pleasant. I would highly recommend him to anyone in the market to buy or sell your home"
"Matt was an excellent realtor for my wife and I. I think what we liked most is that we genuinely believed he cared for our best interests first and foremost.He was always quick to respond to emails, calls, text, etc. and was very flexible when it came to showings - making sure he was available at times that worked for our schedule. He was very patient when we dragged him to several houses that we didn't put offers on, and shared his opinion and thoughts when we asked him for them - regarding different comparable properties, features, concerns, or the strength of our offer. Overall i was highly satisfied and would definitely recommend Matt to friends, family, colleagues, or anyone!" "Matt is extremely knowledgeable, professional, and personable. Anytime I had a question about anything at all with our house buying process he was quick to answer or find the answer. He made our process of buying our first home seamless and hassle free. He always made sure we were kept up to date on the process and made everything as easy as possible for us. 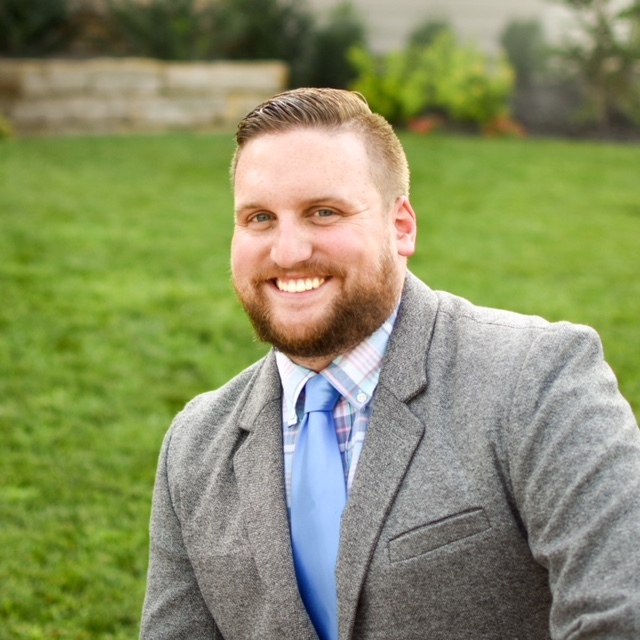 I strongly recommend Matt Brown for your home buying experience." "Matt was an outstanding agent. Very responsive, and easy to work with. I had a bad experience with a previous agent and was very weary of working with another agent. My experience with Matt could not have been more different then the first. He was always available to answer questions and do showings. I bought in the Lee's Summit area. He was very knowledgeable about the area, and had insight into the differences between certain neighborhoods that went far beyond what I expected. My closing had a few bumps, no fault of Matt's. He worked hard to advocate and insure that my best interest were being met. He was transparent, and made me feel as if my house hunt and closing process were his number one priority. Working with Matt was a great experience, and I would highly recommend him to anyone looking to buy!" "Matt was honest and knowledgeable in helping us make the best decision for our future home. He was a huge part in why this process went so smoothly for us." "Greatest realtor in KC! He helped me find a great house, and made it easy to navigate through the mortgage process. He is my go to guy, as long as he is in the business!" "Very knowledgeable and great to work with from the insurance side as well!" "Matt is the best realtor around! He is a great listener, he is very knowledgeable about the current market, and has wonderful negotiation skills. He made the entire process so easy for me as a buyer, and his great communication skills kept me informed every step of the way! I wouldn't choose anyone else to assist me with my real estate needs!"